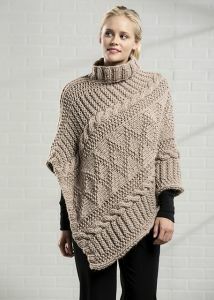 This beautiful turtleneck style poncho features many details that will delight the texture knitter. This free knitting pattern uses super bulky-weight yarn. Pattern attributes and techniques include: Cable, Seamed.